A rainy day outside, Diana Krall on the stereo & homemade blueberry muffins in the oven = a pretty perfect little morning. It has been a beautiful rainy morning here in Birmingham, ideal for a blueberry muffin breakfast. Perhaps it seems more wonderful than normal as we are finally settled into our new place! Having been in transition since our December wedding, it feels so good to wake up in the morning and walk into my very own kitchen. With nothing scheduled this morning, I took the time for a baking endeavor and came up with this yummy morning treat. You will love the blueberries that pop in your mouth as you bite into the sweet crust laced with coconut sugar. If you try anything new this week, let this be it! They are well worth it and pretty simple at that. And hey– if blueberries aren’t your thing, any fresh berry will do! Think outside the box. Add all wet ingredients together, as well as coconut sugar. 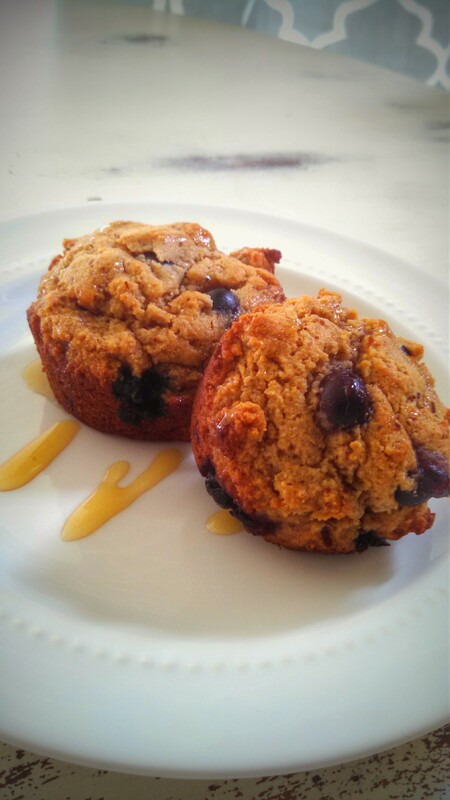 Add your blueberries and gently fold into your muffin batter. Pop in the oven for 15-18 mins. Note: You can also use frozen berries if you wish; however, it will leave your batter a different color. If you want pretty muffins, use fresh. If you don’t mind greenish-blue muffins, then frozen works great, too!